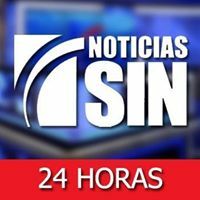 News TV Channel / Noticias SIN is a company dedicated to the production and transmission of information and opinion programs through television open nationally by channel 9 of Color Vision. The "Grupo SIN" programs offer the most complete news content in the social, economic and political area, both nationally and internationally. It also has specialized programs in economics, finance, sports, technology, shows and health, offering the television audience the widest coverage in information programs. It is for this reason, a reference for outstanding entrepreneurs, leaders, politicians and opinion leaders.